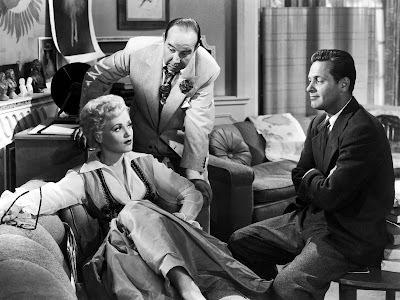 Born Yesterday (1950), starring Judy Holliday, Broderick Crawford, and William Holden, is one of the classic movies airing on TCM this week. This week, TCM is airing great movies from stars like Natalie Wood, Burt Lancaster, and Grace Moore. Plus, they are celebrating Halloween and airing movies about politics. So, without further ado, let's jump right in to this week's offerings. Just a note: All times are Eastern Standard Time and the highlighted texts have links to full length articles. 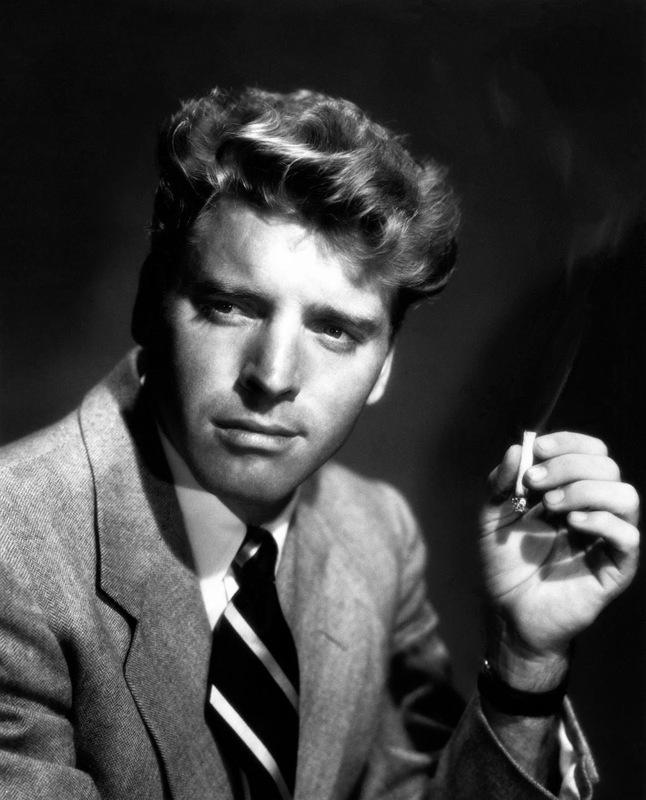 Birthday tributes: Burt Lancaster on Wednesday. Sunday Prime Time: Two movies featuring opera star Grace Moore. Silent Sunday Nights: The drama The Temptress (1926) at midnight stars Greta Garbo as a man-eater who works her way through Armand Kaliz, Antonio Moreno, and Roy D'Arcy. TCM Imports: World on a Wire (1973) at 2 a.m. Sunday night/Monday morning. German director Rainer Werner Fassbinder's science fiction film about virtual reality was completely restored in 2010. Best Day to DVR: Friday daytime. TCM has a great line-up of movies about politics including the comedies Born Yesterday (1950) and Dr. Strangelove (1964). Three daytime picks: The theme is horror movies for Halloween, starting with Simone Simon as a feline shape shifter in the Val Lewton-Jacques Tourneur classic Cat People (1942) at 7:15 a.m. Horror icon Vincent Price is the caretaker of the world's weirdest museum in the 3-D schlockfest House of Wax (1953) at 11:15 a.m. The psychological horror film The Haunting (1963) at 6 p.m. finds Julie Harris investigating paranormal activity in a mansion. Prime time lineup: Horror movies featuring star of the month Christopher Lee starting with the actor playing an English nobleman who is investigating satanists in The Devil's Bride aka The Devil Rides Out (1968) at 8 p.m. followed by his performance as the title character in Hammer Films remake of The Mummy (1959) at 9:45 p.m.
Late night pick: Lee and his frequent co-star Peter Cushing team up for the Sherlock Holmes mystery, The Hound of the Baskervilles (1959) at 11:30 p.m.
Three daytime picks: The theme is movies from journeyman director Stuart Heisler starting with the Western spoof Along Came Jones (1945) at 10 a.m., which features Gary Cooper sending up his own slow talking persona. Tulsa (1949) at 11:30 a.m. is a fun movie about the Oklahoma oil boom that features memorable performances from Susan Hayward and Chill Wills. Heisler also directed the movie version of the adventures of the popular TV Westerns star, The Lone Ranger (1956) at 6:30 p.m.
Prime time lineup: The theme is movies about the early years of U.S. Presidents starting with Cliff Robertson depicting John F. Kennedy's heroic wartime service in PT 109 (1963) at 8 p.m. The touching drama Sunrise at Campobello (1960) at 10:30 p.m. depicts Franklin D. Roosevelt's battle with polio. 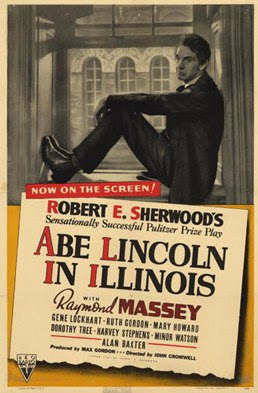 Late night pick: Raymond Massey portrays our 16th President's rise from store clerk to the White House in Abe Lincoln in Illinois (1940) at 1 a.m.
Three daytime picks: A birthday tribute to Burt Lancaster who was born Burton Lancaster on Nov. 2, 1913, in Manhattan. The day starts out with the intense submarine drama co-starring Clark Gable, Run Silent, Run Deep (1958), at 8:30 a.m. followed by Lancaster's sensitive performance as the "world's greatest athlete" in Jim Thorpe -- All American (1951) at 1:45 p.m. Lancaster, who was one of the great film noir actors, is sensational in the prison escape movie, Brute Force (1947) at 3:45 p.m.
Prime time lineup: TCM is turning the spotlight on documentaries each Wednesday in November. Tonight's line-up focuses on documentaries about American society starting with a history of the social documentary To Tell the Truth: Working for Change (2012) at 8 p.m. followed by three documentaries from the 1930s. America Today/The World in Review (1933) at 9:15 p.m. documents the turbulent changes in American life during the early 1930s through newsreel footage while The Plow That Broke the Plains (1936) at 9:45 p.m. deals with the Dust Bowl and The River (1937) at 10:30 p.m. documents the arrival of electricity in the rural South. Late Night Pick: Native Land (1942) is a fascinating documentary from Leo Hurwitz and Paul Strand about the labor organizers in the 1930s. Three daytime picks: The theme is conspiracy movies starting with Katharine Hepburn playing a Soviet defector in the Cold War comedy The Iron Petticoat (1956) at 7:45 a.m. followed by an innocent British family getting mixed up in an assassination plot in Alfred Hitchcock's masterpiece The Man Who Knew Too Much (1934) at 2:45 p.m. 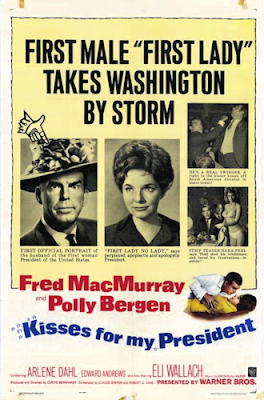 Finally, the controversial thriller Executive Action at 4:15 p.m. depicts a conspiracy to kill President John F. Kennedy almost 20 years before director Oliver Stone's JFK (1991). Primetime lineup: The theme is political comedies starting with Fred MacMurray playing the bumbling husband of the first female President (Polly Bergen) in Kisses for My President (1964) at 8 p.m. followed by writer and director Preston Sturges satire about a bum (Brian Donlevy) who rises to power with the help of a corrupt political machine in The Great McGinty (1940) at 10 p.m.
Late Night Pick: Fredric March is a New England politician who gets mixed up with a centuries-old sorceress (Veronica Lake) in I Married a Witch (1942) at 1 a.m.
Peter Sellers as the title character in Dr. Strangelove or: How I Learned to Stop Worrying and Love the Bomb (1964). Three daytime picks: The theme is movies about politics starting with the flag-waving musical Yankee Doodle Dandy (1942) at 6 a.m. followed by director Stanley Kubrick's Cold War satire in Dr. Strangelove (1964) at 2:30 p.m. Finally Judy Holliday plays a mobster's girlfriend who gets an education in civics from a handsome newspaper reporter (William Holden) in Born Yesterday (1950) at 4:15 p.m..
Prime time lineup: Each Friday in November TCM is celebrating the career of star of the month Natalie Wood. 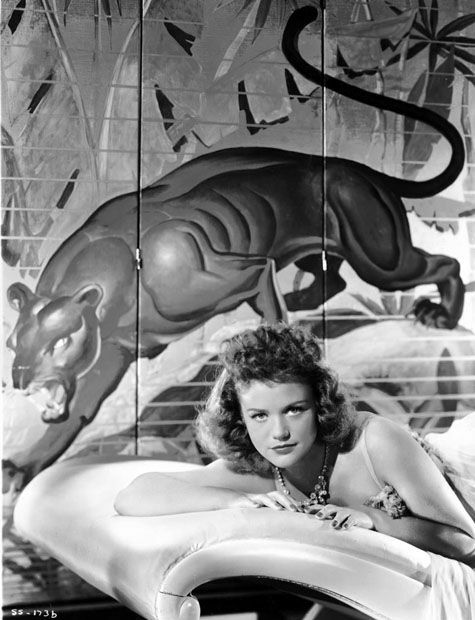 This week's films focus on her career as a child star starting with her first role in the romance Tomorrow Is Forever (1946) at 8 p.m. where she plays the daughter of disfigured World War I veteran Orson Welles. In the comedy Chicken Every Sunday (1948) at 10 p.m. Wood plays the daughter of ne'er do well couple Dan Dailey and Celeste Holm. Late night pick: Wood gives a touching performance in The Green Promise (1949) at midnight as the young daughter of a struggling farm family. The prime time line up is all about actress Sissy Spacek starting with her Oscar winning performance as country singer Loretta Lynn in Coal Miner's Daughter (1980) at 8 p.m. Spacek and Martin Sheen play teenage gangsters in director Terence Malick's masterpiece Badlands (1973) at 10:15 p.m. followed by her performance as a Tennessee political appointee who fights against corruption in the prison system in Marie: A True Story (1985) at midnight. The Sunday Night Feature will put the spotlight on opera star Grace Moore, aka the Tennessee Nightingale, who was a big musical star in the 1930s. The newly restored When You're in Love (1937) at 8 p.m. co-starring Cary Grant features Moore singing a memorable rendition of "Minnie the Moocher." Moore plays an aspiring opera singer who uses gangster Leo Carrillo to launch her career in Love Me Forever (1935) at 10 p.m. Moore sings arias from La Boheme in this film.